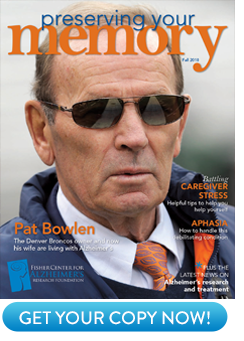 Severe neurological conditions that affect memory leave a large burden for the caregiver. Planning ahead and taking some simple steps now can lessen that burden and improve the care you receive. If I asked you for a definition of estate planning, you might say that it means making sure that your loved ones receives what you have worked so hard for during your life when you pass away. Some of you might even say it means making sure that the government does not get any more than necessary in taxes from your estate when you die. Nevertheless, focusing on estate planning is about as desirable as going to the dentist for root canal work for many of us. Although it may weigh on our minds, there always seems to be something more important to do like buying a new car or planning a family vacation. Once you understand the facts, planning for long-term care becomes much less daunting. Surprisingly, there is something we like thinking about even less than estate planning and that is planning for the rest of our lives and, in particular, planning for the possibility that we may get sick and no longer be able to take care of ourselves. According to a recent survey by a major insurance company, more than half of all people would rather meet with an advisor to discuss their will and estate planning than discuss planning for long-term care needs. This is true despite the fact that approximately 50% of us over the age of 65 will spend some time in a nursing home before we die. Moreover, more than 50 percent of the people surveyed said that going to a nursing home is worse than becoming bankrupt and even worse than dying. This is unfortunate since annual long-term care costs nationwide average approximately $75,000; and in some major metropolitan areas, the costs can exceed $150,000 per year. Generally speaking, long-term care is the assistance needed by someone who can no longer independently perform daily activities such as eating, bathing, toileting, transferring, or dressing. This care can be received at home or in an assisted living facility, adult day care center, or a nursing home. Most people think that these costs affect only the life savings of the seniors receiving the care. However, a significant number of adult children take care of their aging parents, including paying the costs of housing, health care, and incidental expenses. Costs of clothing, home repair, and cell phones can be unnoticed and often come out of the pockets of the adult children. Most children are not abandoning their elderly parents but shouldering the significant time and financial burden required to help them. This burden is compounded by the fact that most people simply do not have any idea how much long-term care costs, and they believe that Medicare pays this cost, which it does not. However, if we haven’t planned in advance, our life savings can be depleted since Medicare coverage of long-term care is extremely limited. In fact, even if you qualify, Medicare pays for only a couple of months of care if you’re lucky. It will pay only 20 days for “skilled nursing home care,” which occur after a hospital stay. Thereafter, there are significant co-payments. In some special cases, and these are limited, Medicare will provide home care services without a prior hospital stay. In these cases, the person must be home-bound due to their condition, require intermittent (not full-time) skilled nursing care, and the person applies directly through a Medicare Certified Home Health Agency (CHHA). Many theories abound attempting to explain our apprehension about planning for long-term care and the rest of our lives. While most Americans recognize the importance of planning for their possible long-term care needs, the emotions that surround the thought of losing our independence, as well as the misconceptions we may have about care options, make it uncomfortable for us to confront these issues. Here are 5 steps to help explain the facts about long term care, so that planning for the possibility of needing it becomes much less daunting. Define Long Term Health Care: Long term care does not necessarily have to mean nursing home care. In fact, most care today is received at home. By planning in advance, you can keep more options available to you and make things easier for you and your family. Know Your State’s Rules: Long term care planning has always been a complex area of the law, and it has become even more complex since the enactment of the Deficit Reduction Act of 2005 (the “DRA”) on February 8, 2006. The federal government oversees the Medicaid program, but the program is administered by the states. Rules can vary from state to state, and all states have not yet completed modifying their guidelines and regulations as a result of the DRA. Although about three-quarters of the states have implemented DRA, there remain many issues that still require further clarification. In fact, we may not know the answers to some questions until the courts have had a chance to review and consider these issues. Understand Medicaid and Spousal Protections: Generally, individuals become eligible for Medicaid assistance once their assets are below a certain level; (approximately $2,000-$4,000). There are, however, special protections for married couples, so that the spouse living at home (the community spouse) has sufficient funds to meet his or her needs. Generally speaking, the community spouse is entitled to keep non-exempt assets of up to $104,400. This is called the Community Spouse Resource Allowance (CSRA). In addition, the community spouse is entitled to monthly income of up to $2,610. This is called the Minimum Monthly Maintenance Needs Allowance (MMMNA). These amounts vary depending on which state we are talking about and may be increased through a fair hearing or court order. Be Familiar with Medicaid Look Back Rules: Prior to the passage of the DRA, there were rules in effect to limit asset transfers to children and other persons. The DRA tightened those rules. Previously, a person could transfer assets, and if the person applied for Medicaid within three years of making the transfer (the look-back period), then the person would be assessed a penalty period based on the amount of the transfer, with the penalty period starting in the month after the date of the transfer. Now, any transfers made within five years of applying for Medicaid will be assessed a penalty period, but the penalty period will not start until the Medicaid applicant is in a nursing home, is otherwise eligible for Medicaid, and applies for assistance. These rules could potentially cover gifts to grandchildren to help pay for their education. If the grandparent needs to apply for Medicaid within five years of paying for a grandchild’s education, then the grandparent may not be eligible for Medicaid, and there may be no funds available to pay for the grandparent’s care. Discuss Different Planning Opportunities: Elder law attorneys are using strategies like irrevocable income-only trusts to assist clients with long-term care planning. Prior to the DRA, transfers to trusts were subject to a five-year, look-back period, while transfers to individuals were subject to a three-year look-back period. Now that the five-year look-back period applies to all transfers, trusts should be given careful consideration as a planning tool. Trusts provide more flexibility and more security for the senior than an outright transfer to a child. In addition, trusts offer tax advantages when compared to an outright gift. Another planning technique might be to purchase long-term care insurance to cover the look-back period, in case you need nursing home assistance within five years after the transfer to the trust. Although the landscape has significantly changed since the enactment of the DRA, planning opportunities remain to protect your assets. The earlier you plan ahead, the more assets that can be protected for you and your family. Do yourself a favor; take the time today to plan for the rest of your life. Although the process might involve a significant amount of time and effort, and force you to confront some difficult issues, you’re worth it. You and your family will be glad you did. Source: www.ALZinfo.org. Author: Bernard A. Krooks, JD, Preserving Your Memory: The Magazine of Health and Hope; Spring 2008.